It's been a while since I posted so thought I'd update on some lovely new fabrics we have. It's been a busy time introducing new designs but a lot of fun too. 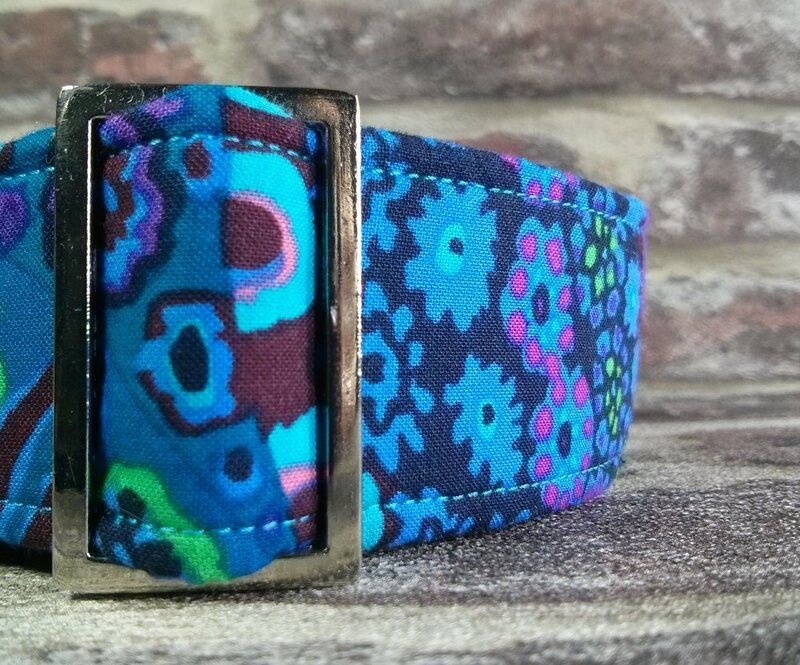 Our new colourful Millefiore range by Kaffe Fassett has been a real success with collars and lead sets being posted across the UK and the world. 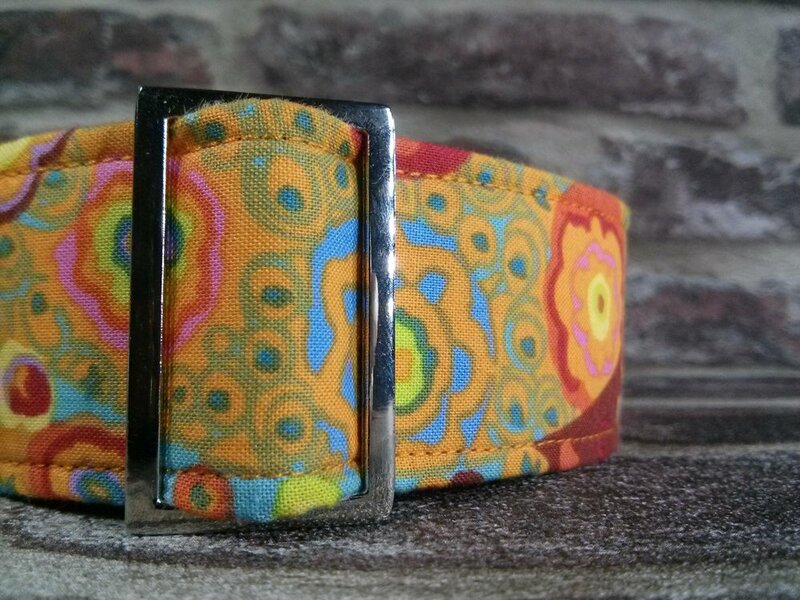 It's available in Dark, Blue, Orange and Red shades - the Orange is a personal favorite of mine and is just so cheerful. Tweeds are always popular and I love combining tweed and fabrics. If you would like a combination of anything you see here just pop it on the comment box on ordering. If you want a classic black tweed with a colourful patterned lining, just let us know. Your item is made from scratch so combinations to your own preference is welcomed.